You must have avoided beggars, probably because they are dirty and untidy. But the poet here thinks differently. 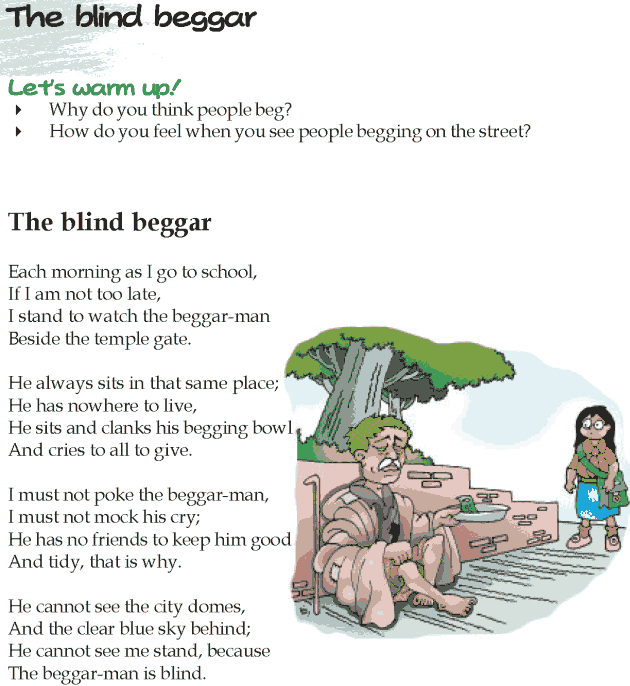 He feels sympathetic towards beggars because he thinks they are lonely, and they have no friends. Read this poem and see if it changes your opinions.